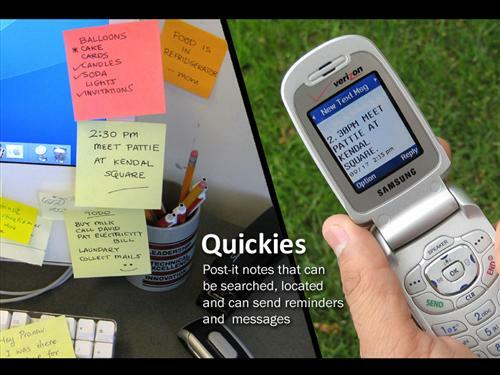 MIT's Quickies Improve On The Unimprovable | OhGizmo! By Evan Ackerman on 04/18/08 • Leave a comment! Quickies are just a functional demo right now, but it won’t be long until printing RFID tags on paper get cheap enough (and RFID readers get ubiquitous enough) that it’ll make sense to have Post-Its that are just a little bit more clever than your average piece of paper.